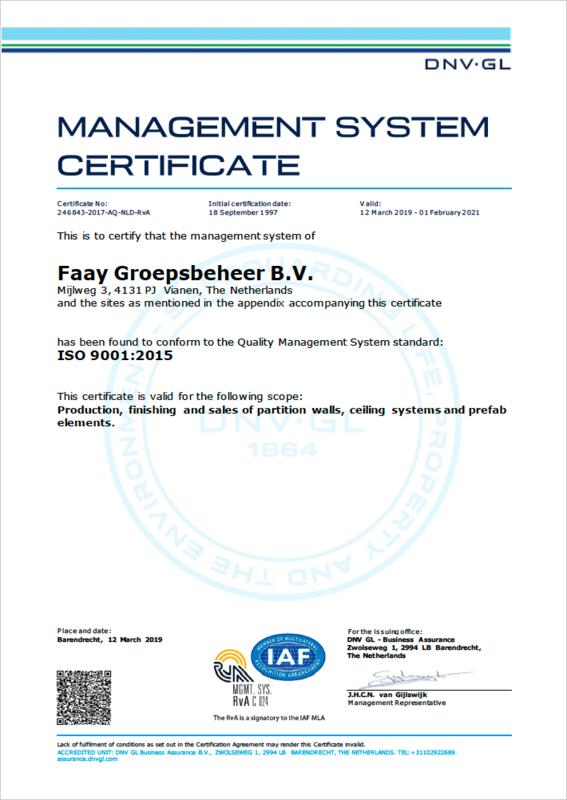 Quality - Faay Vianen b.v.
‘Quality Always Wins’ is our motto. We want to offer you solutions that are really useful to you. Your wishes are always the basis for our approach. That is why we invest in maintaining personal contact and short lines of communication. Our all-in-one concept is unique and of the highest quality. 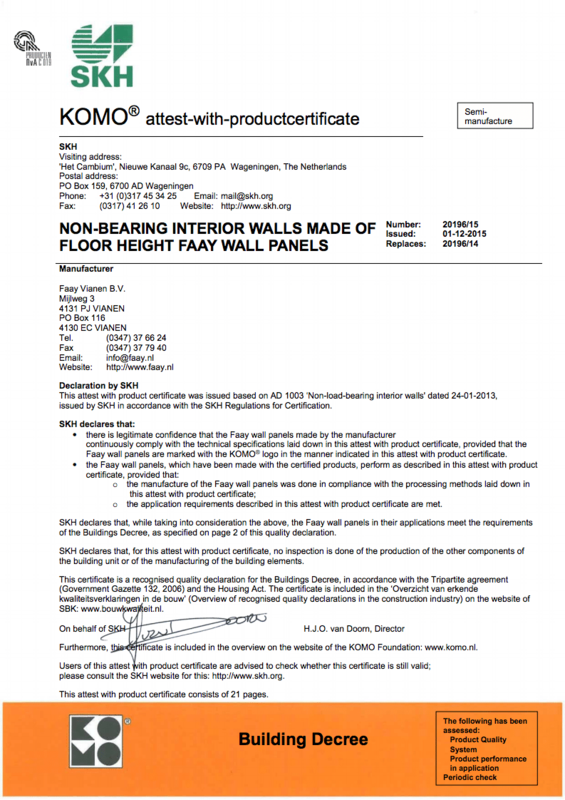 Faay products are easy to use thanks to their simple dry-build, without wood backing. 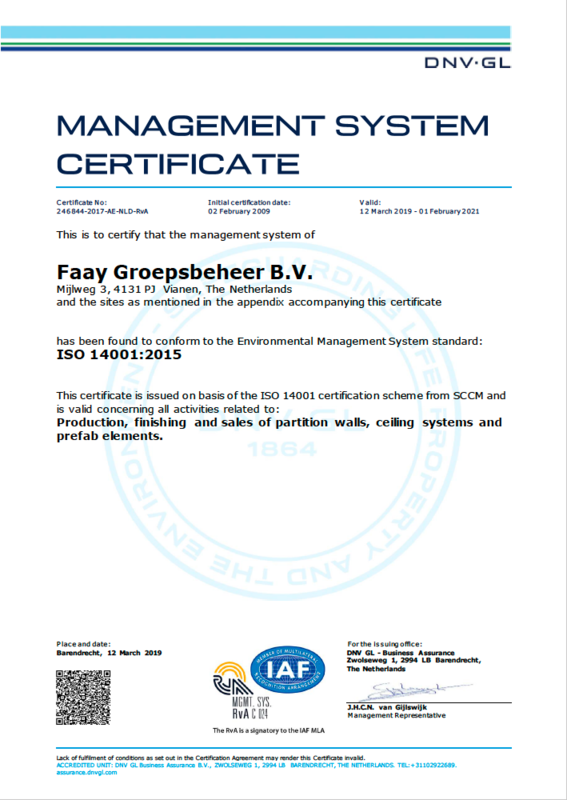 Faay products can also be used in all circumstances, in all sorts of buildings, in all construction and refurbishment projects. 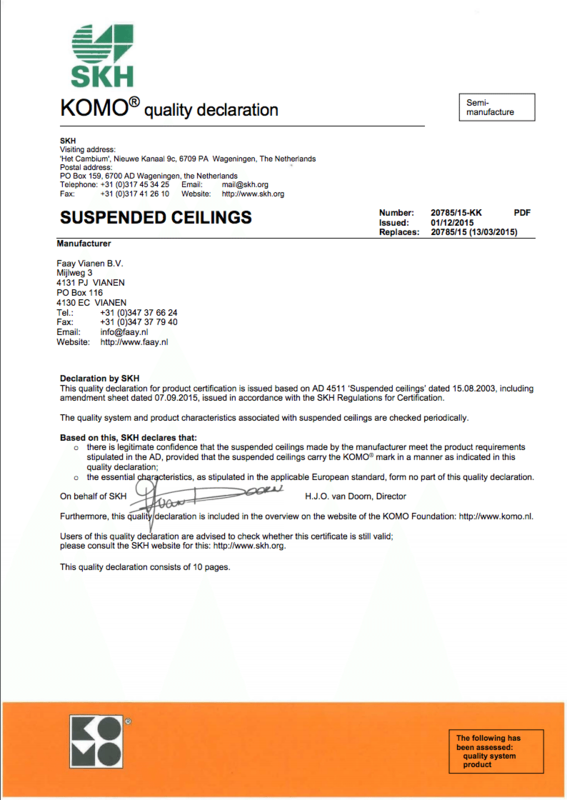 They have exceptional building physical properties. 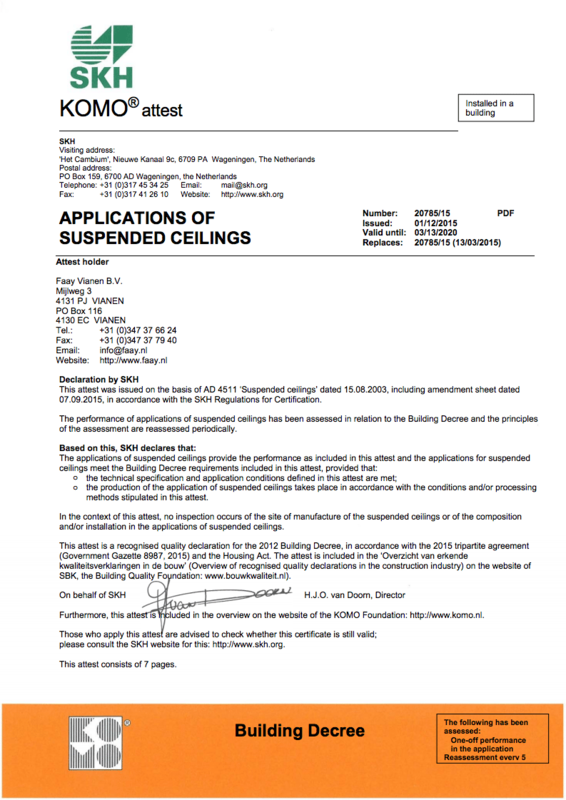 They are impact resistant, fire resistant, sound insulating, thermally insulating and offer excellent screw holding without plugs or battens. 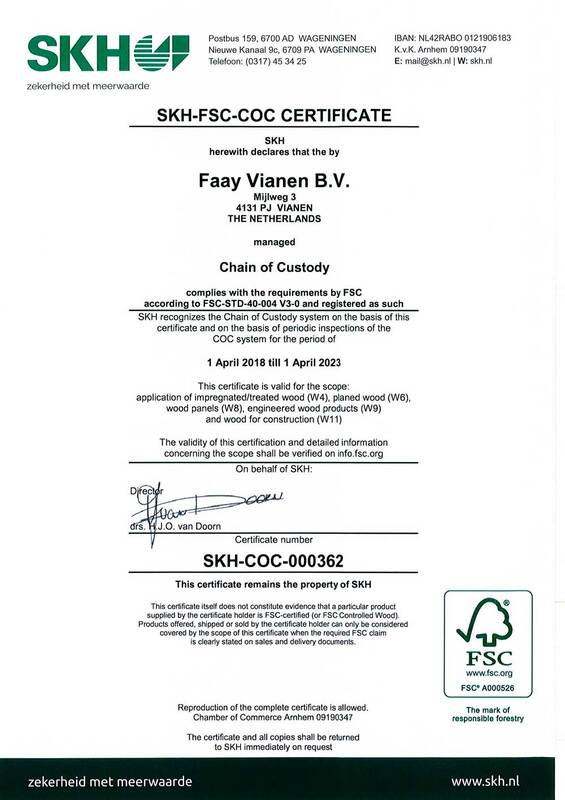 What is more, Faay products are environmentally-friendly and sustainable. In terms of composition, manufacture and (re)use. 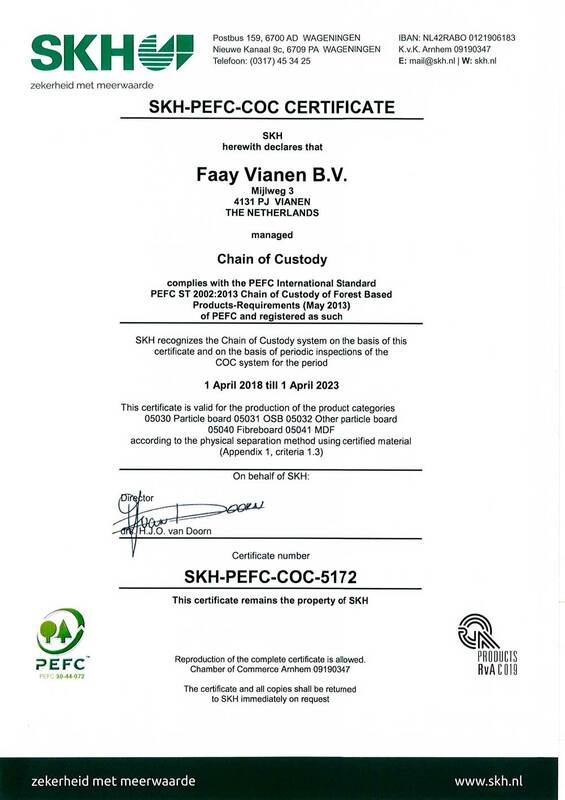 Faay Vianen is certified by ISO (among other things: ISO 14001 for environmental impact and ISO 9001 for quality assurance), KOMO, FSC® and PEFC.